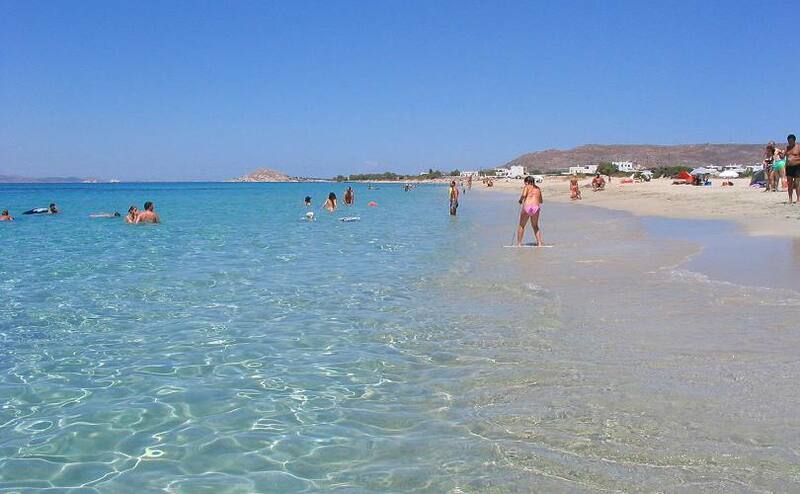 Kastraki is a very long and lovely beach with white and golden soft sand. 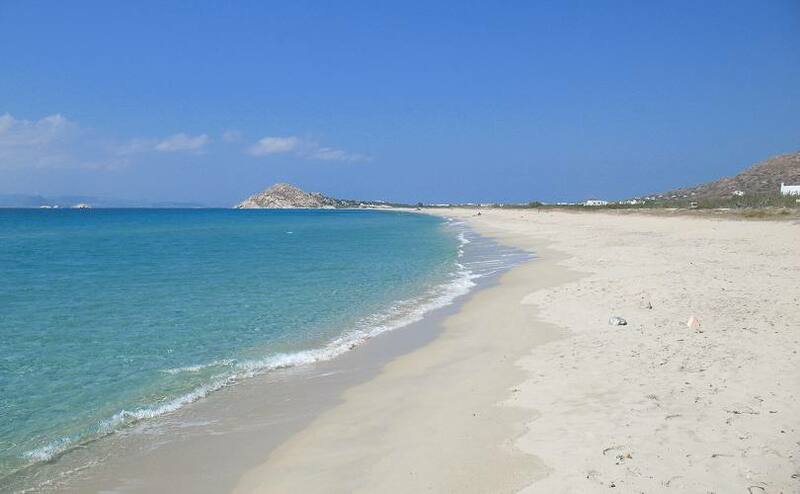 It is a quiet place ideal for tranquil holidays in Naxos. The north part of Kastraki beach (1st picture above) is very quiet and the souern part of Kastraki is called "Glyfada". Glyfada is exposed to north winds making it ideal for wind surfing and in non-windy days is just amazing (second picture above). The north part of Kastraki (shown on first picture): On the 17th km on Naxos Town to Kastraki / Pyrgaki road there is a signpost to Kastraki. Turn to the right and at the 1st crossroad turn to the right and then to the left again. You will end up at the sea. Turn to the right and after passing a couple of cove you will end up to the beach shown in the first picture above. The south part of Kastraki: As above, but at the 1st crossroad turn to the left and at the 2nd crossroad turn to the right. The road leads to the sea, 100- 150 metres on the left is the sand. Glyfada: As above, but at the 2nd crossroad continue straight on, and at the next junction turn to the right. Alternativelly, keep driving on the road "Naxos Town to Kastraki / Pyrgaki", and don't follow the sign post to Kastraki. After 1 km there is a signpost (not that big) to Glyfada. Turn to the right (it is a narrow unpaved road 250 metres long), pass the salt and you are at Glyfada beach.